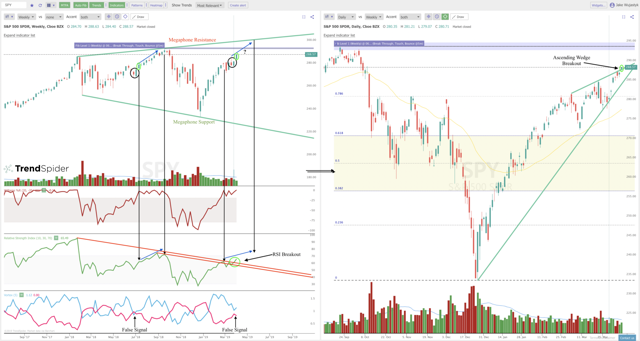 SPY, QQQ, and XBI have started to show signs of a potential breakout to all-time highs into the week of April 8th. The head and shoulders pattern that many market participants have been watching, has started to breakdown across the board. Could a potential China trade deal be the variable pushing markets into this new status quo? 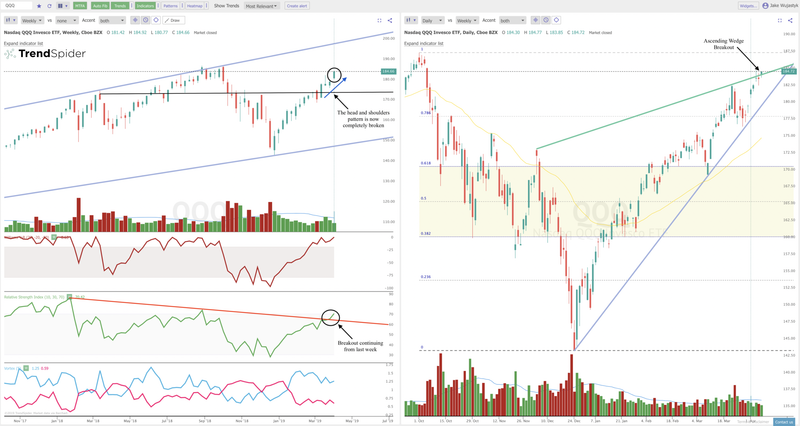 After consolidation in the upper $270s and low $280s for most of March for SPY, the more speculative sectors represented by QQQ and XBI started to show signs of a bigger breakout on the horizon (see video here). This move seems to be confirmed into the second week of April as all three ETFs closed near weekly highs. The bearish thesis here focuses more on the low volume last week as well as the vortex indicator showing signs of convergence between the VI+ and VI-. 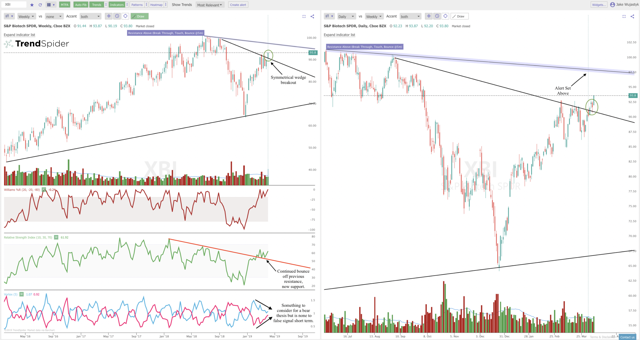 NOTE TO READERS: All charts posted in this article are from the TrendSpider automated technical analysis platform and have been annotated outside of the platform. These are simply our views of the current technical landscape of the stock market and should not be taken as trading or investment advice. To watch the video analysis of these tickers in the weekend blog post, please click here.